yourATCstore Flattened Silver Chrome Bottle Caps. Yes, these are flattened already; hence the slightly higher price then the unflattened ones. Place stickers, photos, words, or images on either side. 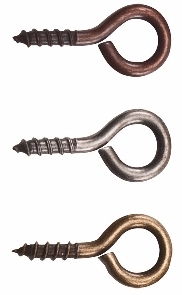 Easy to punch holes for jewlery making or charms. Bottle caps are colorful accents to any project, especially ATCs, or create dimensional accents on paper projects and on scrapbook pages. Each package comes with 12 flattened silver chrome bottle caps. 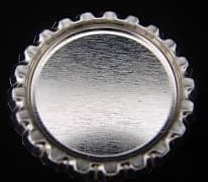 Notify me of updates to 12 - Bottle Caps Flattened Chrome 1 Incn 12/pkg.